Whether it is a car or Salesforce, it is not wise to allow amateurs to handle the task. Proper training can ensure proper customization and migration of data. Without training it is not possible to master the CRM and training has become essential to learn the skin. End users not trained properly in Salesforce fail to use the system to its maximum potential. In some cases, they abandon the Salesforce completely and get back to spreadsheets and even manual files. This is training and not programming. People have different priorities, motivation levels, distraction, the training program has to consider all these behavioral aspects. Many organizations during the refreshers, onboarding or updates make a common mistake of framing a course subconsciously. 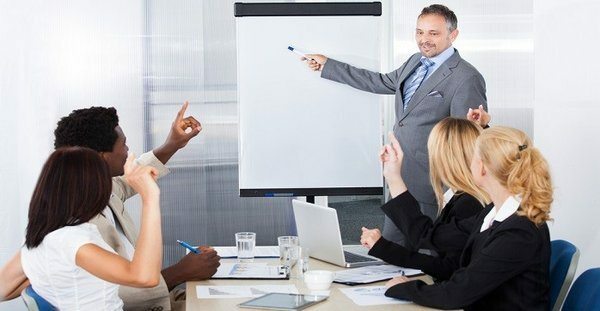 A trainer has to think from the users’ perspective on how to get their attention to creating a successful training program. The trainer has to feel excited about the material. Despite the new features being less complicated, there is always more work in the offing for the trainers. The budget, training environment, and faculty have to be identified much before the project implementation. The training quality will be affected if the resources are not identified quickly. Waiting too long could compromise the quality and reach of training to the end users. Preference of the trainees on learning methodologies could improve the efficiency of the training. Some may prefer hands on training and others presentation. It is important for the trainer to identify the needs of the trainees and project the right learning tools for best results. Many organizations think that Salesforce training is a one-time process. Little do they realize that it is an onboarding process! Hardly do they realize that there are updates and new releases. In this case, what do the end users do? They are stuck with their process and are left confused on how to proceed with the Salesforce. These people have to be alerts of the changes happening in the field to enable them to continue their job without any hindrance. Salesforce is an evolving system and end users are never comfortable with the changes. The stress level is high when the users realize that what they see is not the same. Even a small change in the system can make them averted to the Salesforce. A simple communication on the changes can put their anxiety to rest. The training is continuous and regular communication on the latest features has to reach the end users. Notices of the process changes, release enhancements, and new configurations have to be communicated regularly. Training has to be made mandatory for employees who use Salesforce; there should be no second thought about it. The trainees should take the exam and complete the hands-on training designed with specific functionalities and features to suit the needs of the organization. Some of the hands-on exercise needed for training includes creating, transferring, updating and converting leads. The users should be able to create views on different tabs, apart from facilitating duplicate accounts and merging the duplicates. They also need to create different tasks like taking screenshots of the homepage and creating posts of these screenshots on Chatter groups using specific tags. The training facilitates creating quotes, opportunities and including products. It also teaches how to design campaigns and add members facilitating changes to the member status. Dashboard and reports are created for easy distribution for a report. Many training programs do not realize the mistakes until the time they go live. So far, the employee learns through a trial and runs system. Only when the processes are implemented, they know the flaw in the training. This can cost the company heavily. It can reduce the rate of adoption and decrease the ROI. Another mistake is the organization thinks it is a done and dusted event. Salesforce is evolving by the day, and new features are added regularly. This makes it important to make the training process continuous. Organizations grow, and new staff needs regular training. Ongoing live training becomes essential for organizations if they want to grow in the right direction. A properly conducted Salesforce can put the operational efficiency of the company on the rise. How And Why IT Professionals Should Get Salesforce Training?